* This post has been updated and revised on October 18, 2016. 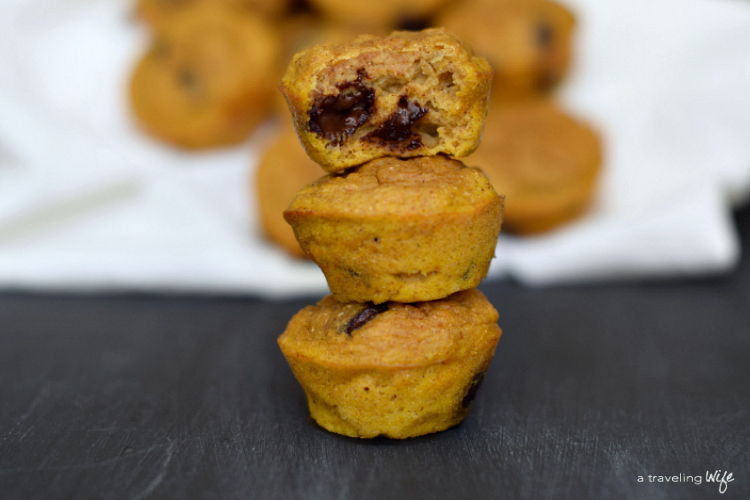 The recipe has been revised to represent the best possible mini pumpkin protein muffins. Also, this post contains affiliate links and I will be compensated if you make a purchase after clicking on my links. I believe I expressed my love of all things protein and muffins in my high protein zucchini muffins. So it can't be much of a surprise that I have created a seasonal muffin that fits this mold. 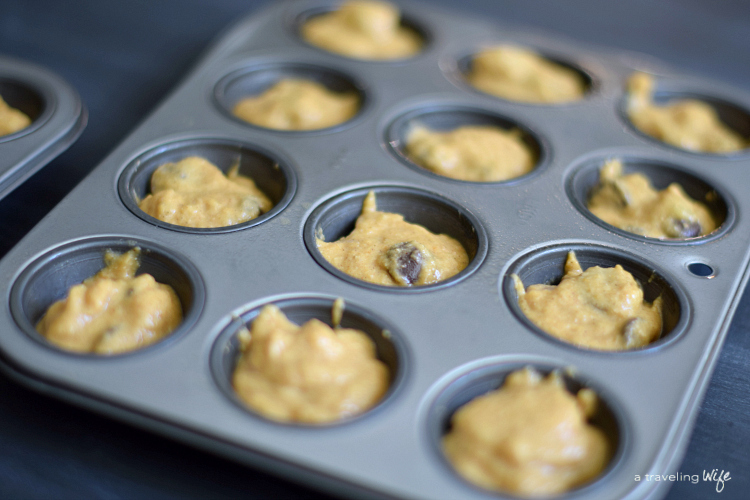 Click to tweet: These pumpkin protein muffins are delicious. I am the type of baker that likes things simple. Simple ingredients that I always keep on hand are key for me to really enjoy baking, because if I'm being honest, I HATE measuring things. One thing I always keep is bananas in the freezer. A really likes green bananas and if they start to get even the teeniest of brown spots, they go right in the freezer. And for those that have been reading a while, you know I have an allergy to bananas - food-latex syndrome. Luckily cooked bananas don't bother me, just yet. Another thing I like to do as a baker is make things mini. Bite sized food is so much more enjoyable to me over massive items. So my mini muffin tray gets much more use over my regular sized one. * Optional: add chocolate morsels of your choosing. - Allow to cool and then enjoy! 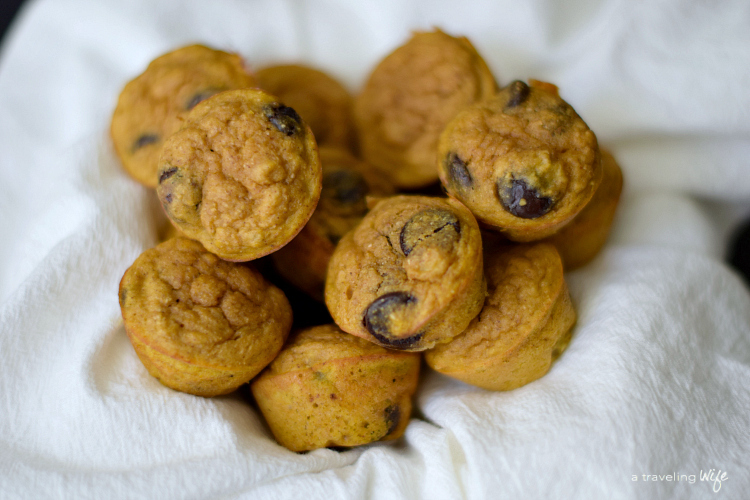 Are you a lover of mini muffins or traditional sized muffins? What pumpkin flavor items have your indulged in so far this season? Yum! I'm all over the pumpkin. I've never tried the kodiak cakes mixes, but I think I need to! I know, I cannot get enough pumpkin right now. I have several individual size bags of pumpkin puree in my freezer just ready for my cravings. I highly recommend trying some of the Kodiak mixes - my favorite is the Power Cakes. Yay - they are a blend of seasonal spice and cakey cupcakes. Enjoy! Yum! I'll definitely try these! I've heard of the Kodiak cakes... how are they? YES! I have been a huge fan of Kodiak Power Cakes for a long time. I haven't tried any of their other mixes. I use the Power Cakes for pancakes, waffles, and baking. They are a great way to add extra protein to recipes. Oh man, these look good! I've never used Kodiak cakes before! These look absolutely perfect! 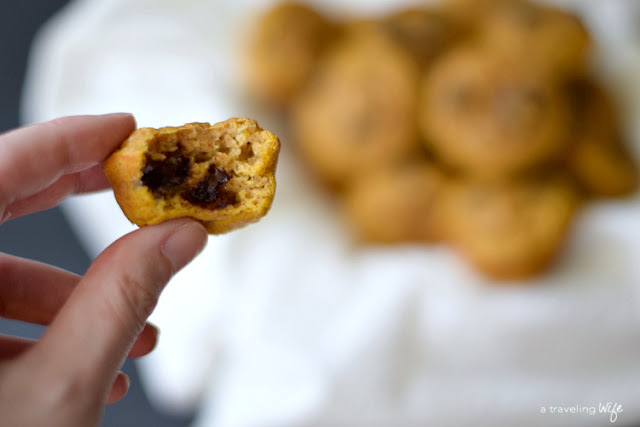 I actually think mini muffins are 10,000 x better than regular muffins and I don't know why... maybe because there's a higher edge to middle ratio? Haha! You know I can't say "no" to any recipe that has Kodiak cake mix in it! YUM! I believe this time last year you hadn't even tried Kodiak cakes yet!! :) So glad you are on the bandwagon now too. There is so much you can do with them besides just pancakes and waffles. Those little babies look moist and magical!